†No purchase necessary. This contest is sponsored by Burnbrae Farms LimitedTM. Contest closes July 1, 2019. 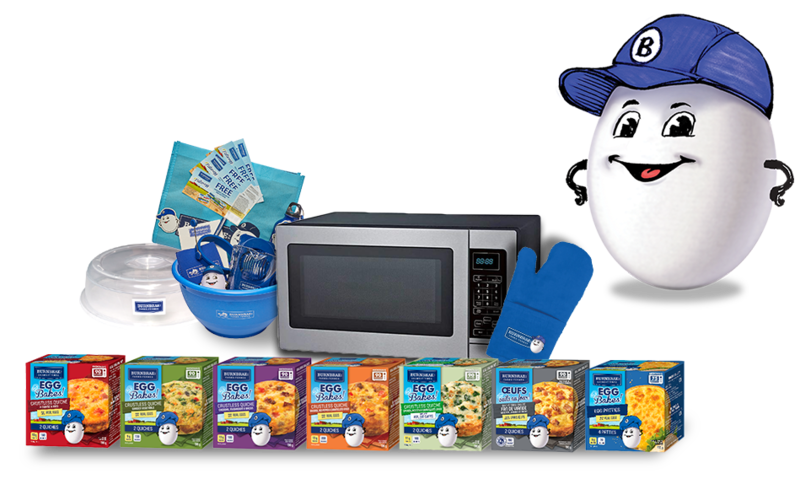 There are five (5) Grand Prizes available to be won consisting of Burnbrae Farms merchandise (ARV: $50), free product coupons (ARV: $75) and one (1) RCA 0.7 Cubic Foot Microwave, Stainless Steel Design (ARV: $125). Total Grand Prize ARV: $250. 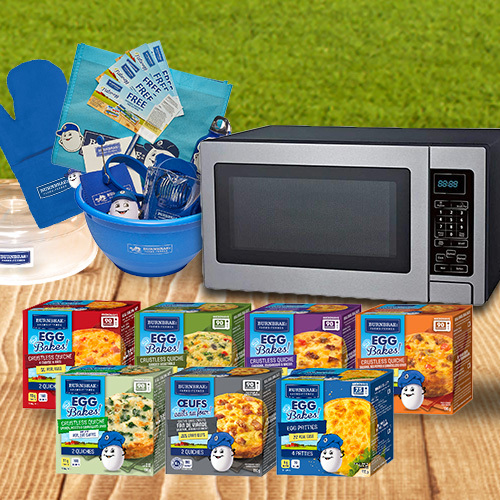 Any difference between the approximate retail value and the actual value of the Grand Prize will not be awarded. Mathematical skill-testing question required. Odds of winning depend on the number of eligible entries received. 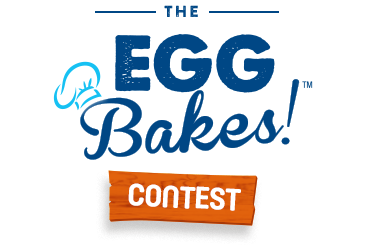 For full rules, including entry, eligibility requirements, Grand Prize draw date and complete prize description, visit https://contest.burnbraefarms.com/eggbakescontest/rules.